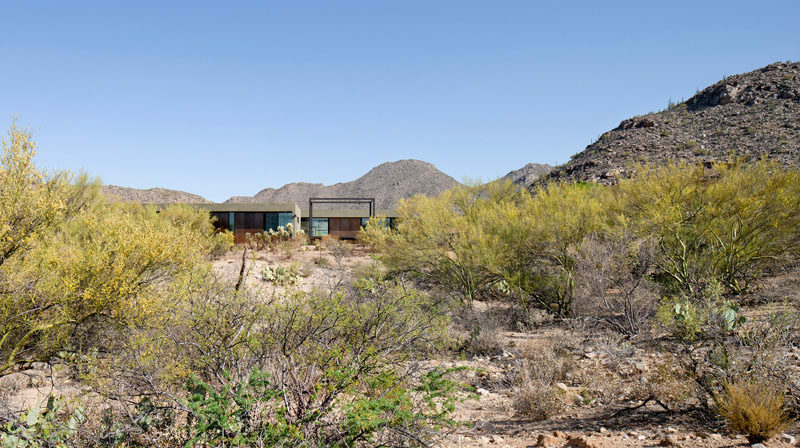 Ibarra Rosano Design Architects designed this contemporary home in Marana, Arizona, with effort to not disturb the surrounding natural environment. 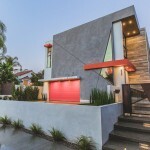 The orientation of the home was chosen to harness the sun, capture breezes, and frame the picturesque views. 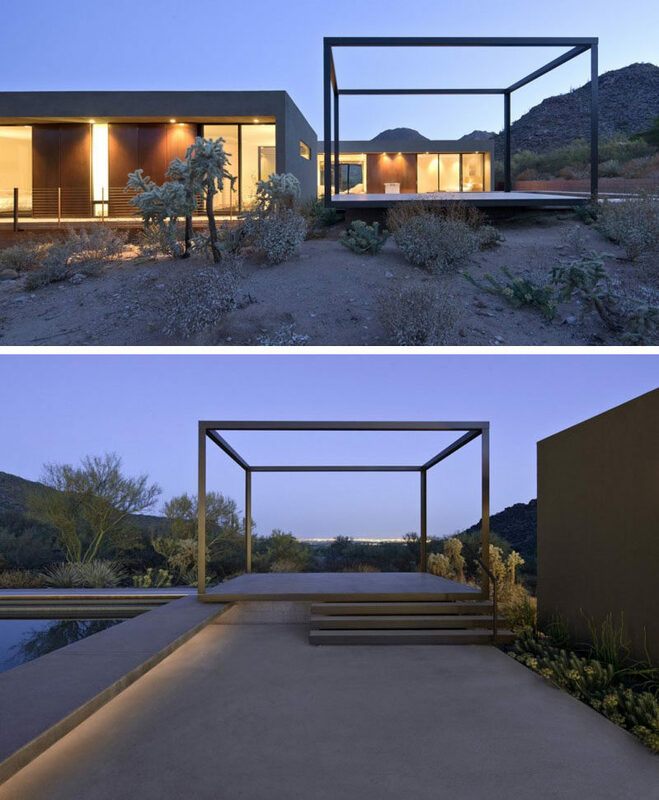 At the entrance to the home, you must pass over a bridge that sits above desert landscaping. At the end of the home, there’s a swimming pool with a raised deck. 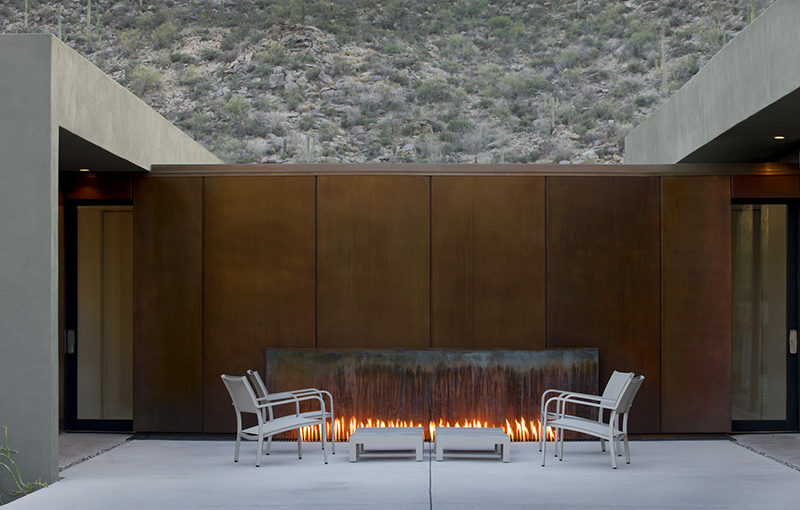 Close to the pool and located between different areas of the home is an outdoor fireplace surrounded by weathered steel. Off to the side of the pool and outdoor fireplace is the main living area, it too has a fireplace. Behind the living area is the dining space and kitchen. A collection of pendant lights help to anchor the dining table in the space. Next to the dining table is the kitchen, with light wood cabinetry and white countertops. Just down from the kitchen is a bright white hallway, also known as the home’s library, that’s filled with colorful artwork, floor-to-ceiling bookshelves, and a small desk area. 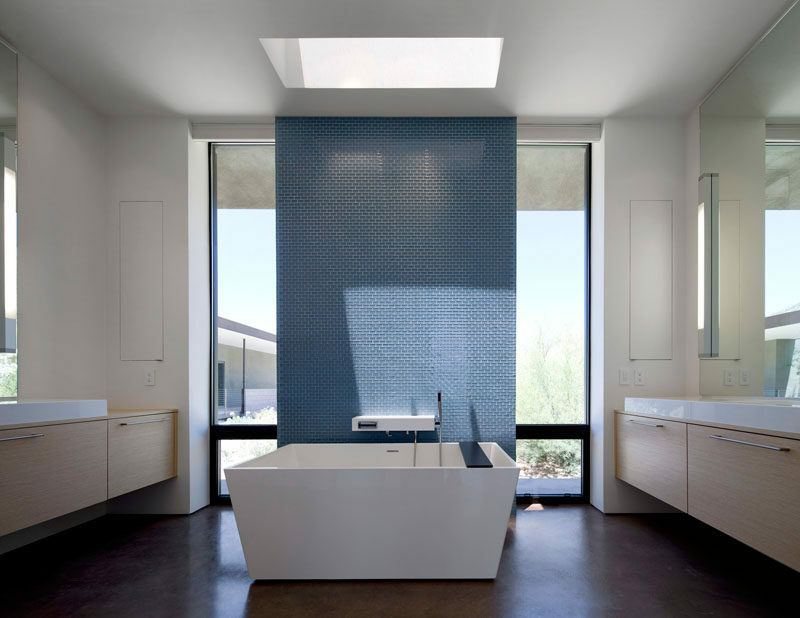 In one of the bathrooms, tall windows and a skylight fill the space with natural light, while the blue tiled feature wall provides a focal point and privacy for when someone’s taking a bath.